The Burggrafenamt area is justifiably considered to be the perfect relaxation and hiking paradise. Lying on the southern side of the Alps, the unique holiday region with its mild climate and wonderful natural surroundings has a wealth of unique features and attractions to offer its visitors. The gentle valley landscapes with their many vineyards and orchards and the lofty mountain peaks of the Texel Group that surrounds the region offer utterly ideal conditions for mountain hiking and climbing. The innumerable romantic irrigation channel paths and hiking routes, the wonderful promenades and sunny slopes all draw you into the incomparable beauty of the landscape. 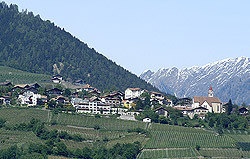 Whilst colourful flowers and lush green meadows bloom in the valley, snow-covered mountaintops loom in the background. Make the most of the many different opportunities that are on offer both in summer and in winter. The sunny days and the mild warmth invite you to enjoy cycling, riding, swimming, Nordic walking or paragliding, to mention just a few of the sports and leisure options that are available. Even in the colder part of the year your holiday will be an unforgettable experience. Winter sports enthusiasts can enjoy many great skiing areas such as Merano 2000, Schwemmalm or the Schnalstaler Glacier area. Likewise, the resorts of Vigiljoch and Pfelders also guarantee fabulous fun on the pistes and perfect relaxation. Be it tobogganing, skiing or snowboarding, cross country skiing or hiking, you are sure to have a great time. 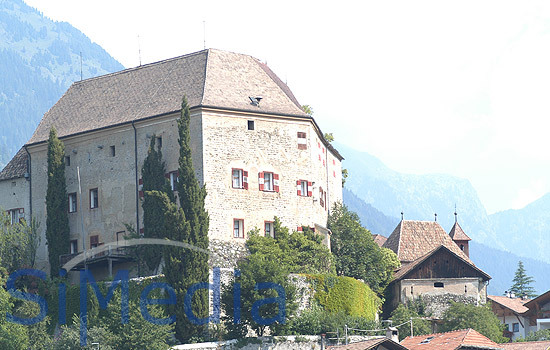 However, the Burggrafenamt area does not only have grandiose mountain scenery and the enchanting landscape with which to impress its visitors. 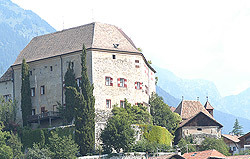 Culture lovers will also find plenty here in the heart of South Tyrol. A multitude of the most interesting and significant artistic and cultural sites in the province provide fascinating insights into the culture and history of South Tyrol – why not follow in the footsteps of Empress “Sissi” of Austria?